Can be used as a pre-cleaner and as a final wash before painting. This zero V.O.C. 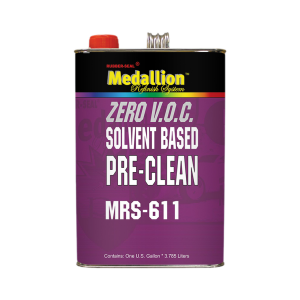 solvent-based pre-clean performs like a wax and grease remover without the harmful chemicals. MRS-611 will not leave a residue when properly applied.